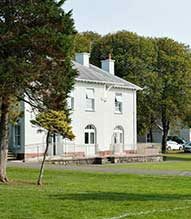 St. Clare’s Senior School is a small, co-educational, non-selective, independent day school with pupils of a broad range of abilities. 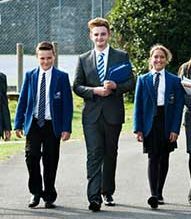 We are located in the seaside town of Porthcawl, Bridgend, in southwest Wales, and consist of two schools: a preparatory school (foundation phase through to Year 6) and a senior school (Years 7 to 13). A sizeable number of students in the senior school have arrived from the St. Clare’s Preparatory School. We have also received students from other private schools in Wales and from the local area. St. Clare’s Sixth form averages typically at around 40-50 students in Years 12 and 13 combined, with a very high percentage of our students remaining for the Sixth Form. Students are delivered 6 x 50 minute lessons per week in each of their chosen subjects. We do not have a particular focus as a school in any subject area, and so cover the broad curriculum equally. We use the Welsh A-Levels in the majority of our subjects, and so cashing in normally takes place at the end of Year 13. While students do sit the traditional AS-Levels in our school, they do have the option to re-sit these in Year 13.